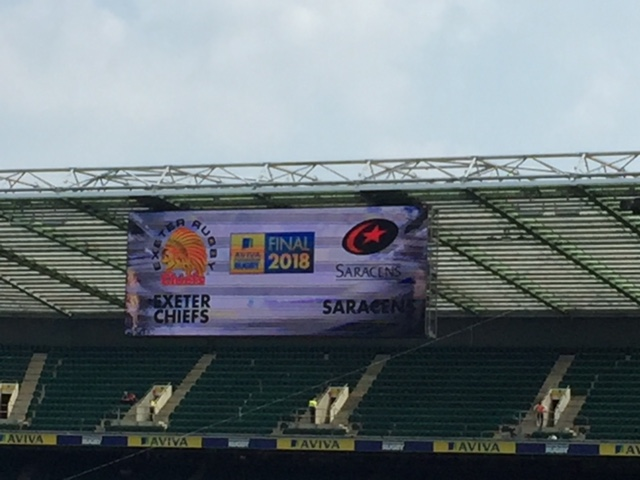 Our Year 7s and Year 8s had the exciting opportunity to visit Twickenham to watch the Premiership Final between Exeter Chiefs and Saracens. After a good coach journey we arrived at Twickenham - we were very lucky to be in the West stand and had great seats. The weather was lovely and hot and all the pupils had a fantastic day, watching a very strong Saracens side winning the game 27-10. Some of our pupils were lucky enough to meet the England Head Coach, Eddie Jones, and to have a photo taken with him. 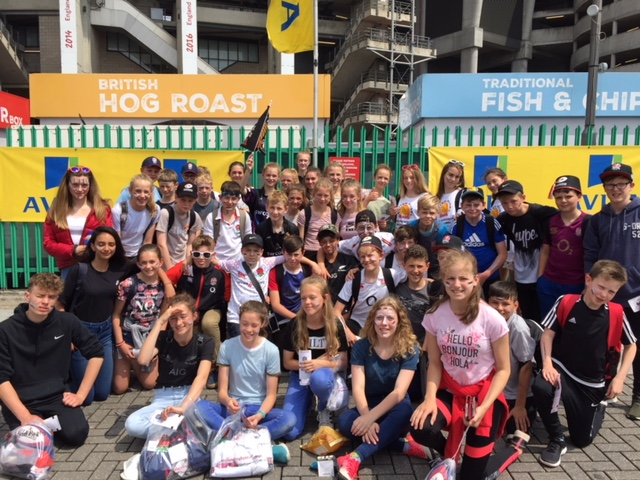 Many thanks to the staff: Mr Jackson, Mrs Callow, Miss Crossland, and Mrs Palmer for giving up their Saturday to accompany the pupils on the trip.